SO EASY AND SO GOOOOOOOOOOOD!! Perfectly seasoned, melt-in-your-mouth tender steak with potatoes and broccoli. All made on 1 single sheet pan! EASY CLEAN UP! Preheat oven to broil. Lightly oil a baking sheet or coat with nonstick spray. In a large pot of boiling salted water, cook potatoes until parboiled for 12-15 minutes; drain well. 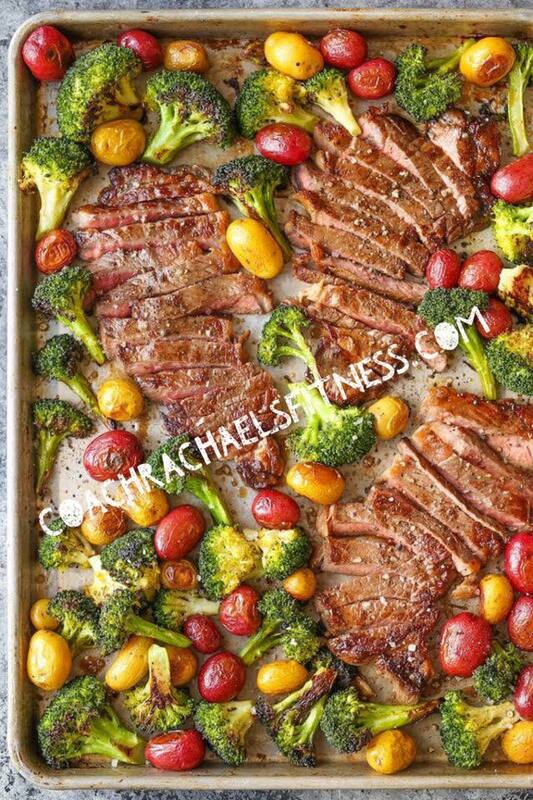 Place potatoes and broccoli in a single layer onto the prepared baking sheet. Add olive oil, garlic and thyme; season with salt and pepper, to taste. Gently toss to combine. Season steaks with salt and pepper, to taste, and add to the baking sheet in a single layer. Place into oven and broil until the steak is browned and charred at the edges, about 4-5 minutes per side for medium-rare, or until desired doneness. Serve immediately with garlic butter, if desired. *16 ounces broccoli florets is equal to about 3 cups. The BEST deal in Fitness is here!!!! 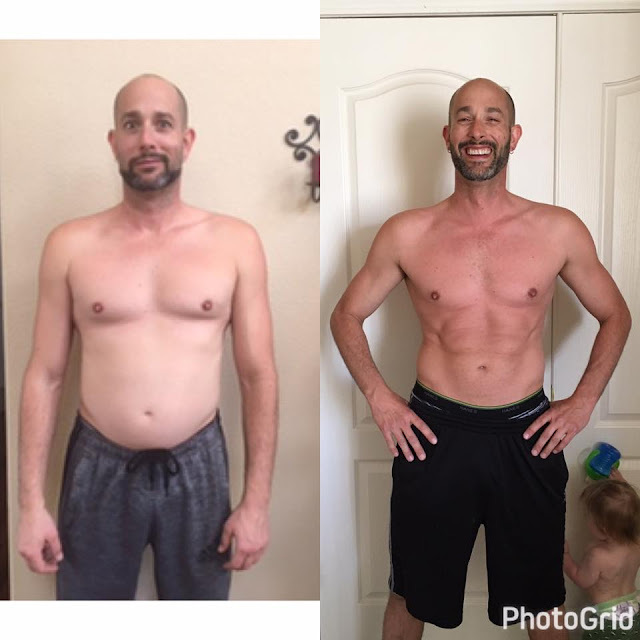 We EXTENDED the Annual All Access Beachbody on Demand Challenge Pack through MAY!! It's on sale this month ONLY and the deal is one you CAN'T pass up! You have access to to EVERY single fitness program ever released PLUS all new releases this year, Shaekology, Portion Fix containers, and Me as your Coach to help you start & finish the program to get 100% RESULTS! CONGRATS TO THIS WEEKS TRANSFORAMATION !!! Mikkel Dybvig lost 8lbs with Insanity and 21 Days of Clean Eating!!!!! I will be interviewing Mikkel and his wife LIVE on FB next week!! Stay tuned to hear there story!!! !